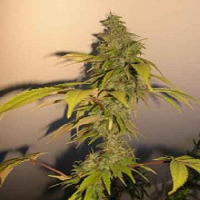 AK Feminized Cannabis Seeds: Despite its formidable and uncompromised name, this strain is a graceful, noble and good looking plant with a worthy and long history in the cannabis world. This easy to grow plant is one of the most popular. It is of medium height and produces good yields quite quickly. Extremely STRONG odor and smoke… The name was given not out of any idea of violence, but more in association with the one hit wonder that the smoke is. 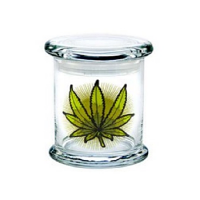 Quality without compromise makes AK suitable for commercial grows or home use. These plants have a short flowering period for a sativa, producing compact, not too leafy buds that gleam with a coat of resin crystals. 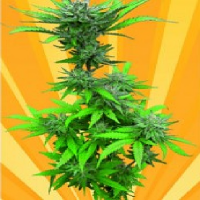 Outdoors plants do not like excessive moisture because it produces big sativa buds. AK47 is ready to be harvested in the middle of October. AK47 is perfect to have as a mother plant for its small size and compactness ideal for producing large quantities of clones.